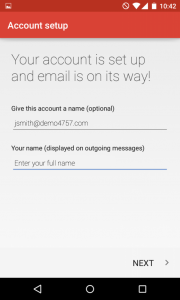 create an email account in your control panel. 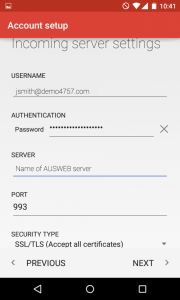 Once you have done this, you can configure your Android device to connect to the email account you created on our servers. 1. 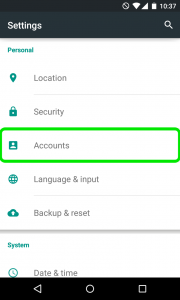 Open Settings and then tap on the Accounts menu located in the Personal section. 2. 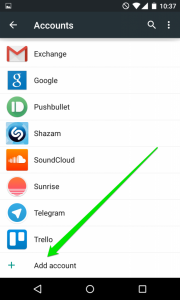 Then tap on Add Account at the very bottom of the screen. 3. 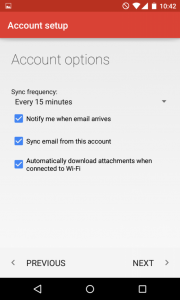 On the next screen you will need to choose whether you wish to configure IMAP or POP3 account. 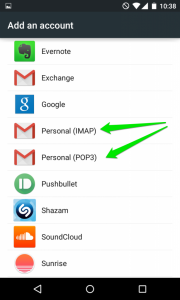 Simply choose the desired option by tapping Personal (IMAP) or Personal (POP3) correspondingly. 4. The next screen will prompt you to enter your email address. 5. Once done, tap “Next” to proceed to the next step. Here you will need to indicate your email account password. 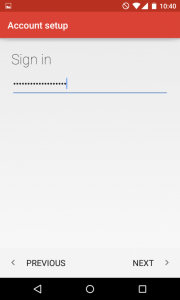 If by any chance you do not remember your password, you can easily reset it using the following tutorial. 6. Here you will need need to type in correct IMAP/POP3 settings depending on the option you choose. Server: Enter the name of the server that hosts your account. This is located in your in your welcome email, titled “New Hosting Account Information”. 8. 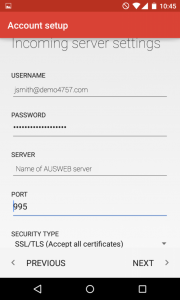 Once done, tap “Next” to verify the settings and proceed to Outgoing Server settings menu. 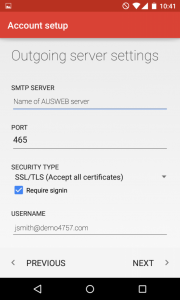 SMTP Server: Enter the name of the server that hosts your account. 9. 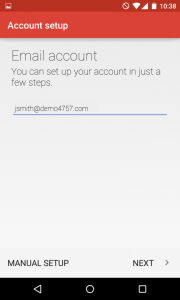 Once ready, tap “Next” to verify SMTP settings and finish the account setup. 10. Give the account a name, and then enter the name that you wish to be displayed on all outgoing messages. Congratulation you have now finished and your account is setup!